Explore Europe on board the Scenic Ruby or Scenic Pearl and enjoy stunning views from the Sun Deck, exclusive dining and a choice between five spacious suite categories. 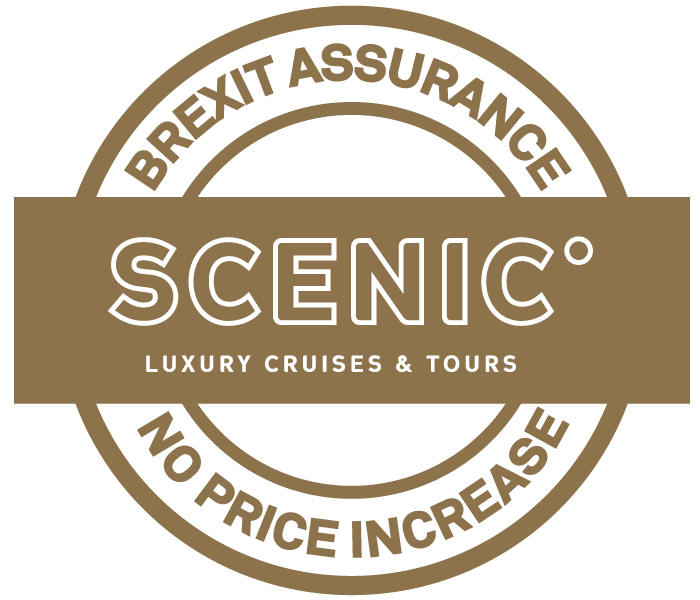 Setting a new benchmark in luxury river cruising; Scenic’s original Space-Ships, Ruby and Pearl, have been fastidiously refurbished to ensure they adhere to our illustrious standards of luxury and comfort, without forgoing their charm, character and timeless innovation. Measuring 445 feet, the founding members of our luxury European Space-Ship fleet are slender enough to negotiate the waterways of the continent’s most esteemed cities. Each vessel is exquisitely appointed in-line with other ships in the Space-Ship line-up, boasting a trove of features and amenities, and capable of carrying 167 passengers in blissful comfort and luxury. Like every ship in the Scenic fleet, these vessels feature spacious luxury suites that are class-leading in terms of size and refinement. Suites and cabins are complete with lavish extras like large private balconies fitted with the pioneering Scenic Sun Lounge screen, as well as a 32-inch Samsung HD TV linked to a Mac computer and complimentary access to a high speed WiFi system. Other in-cabin features include a minibar, luxurious double (or twin) bed complete with pillow menu, and perfectly appointed bathrooms featuring the very latest shower and wet-room technology. Every Scenic European river cruise begins aboard one of our boutique vessels or custom-built Space-Ships, so named for their spacious guest cabins, dining, and entertaining areas. Each of these four-deck Scenic Space-Ships includes numerous dining and sightseeing areas, as well as a lounge and bar area that offers panoramic views. Additionally, guests can retreat to the wellness center, which is equipped with a beauty salon, and massage rooms. These ships are noteworthy for their luxury suites, which are outfitted with sun lounges, 32-inch high-definition TVs, and complimentary wireless internet access.